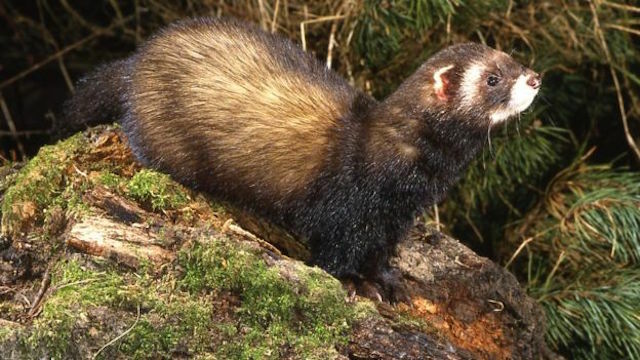 European polecats, once pushed to the brink of extinction in the UK, are making a surprising comeback across Great Britain. The furry little carnivores, part of the weasel family, once thrived throughout the UK, but by 1915, were found only in parts of Wales and a small corner of Scotland. Polecats have a taste for fowl and would steal chickens and kill small game birds leading farmers to hunt them until they were eradicated. UK Conservationists put up a fight to save the bandit-masked critters and succeeded in passing laws forbidding the killing of polecats. A recent survey by the Vincent Wildlife Trust found the species can now be spotted in places where they hadn’t been seen in a century — an expansion from two small pockets into an area covering nearly a third of England, Scotland, and Wales combined. “This is something we really need to celebrate, the recovery of a native carnivore that we once almost lost completely,” Lizzie Croose of the Vincent Wildlife Trust told BBC News.